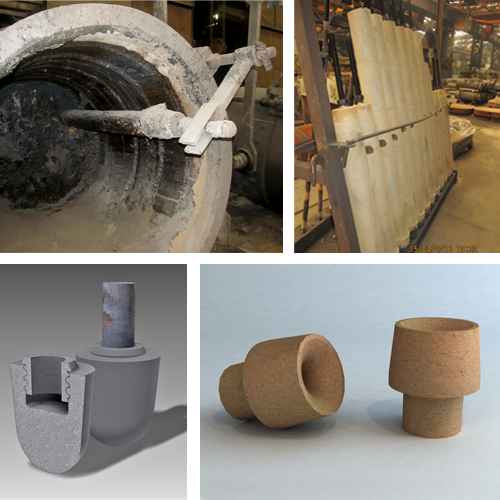 Foundry industry – SEEIF Ceramic, a.s.
Fireclay nozzles are manufactured in various shapes, lengths and diameters. of the ceramic casting system. grog with a ceramic bond. 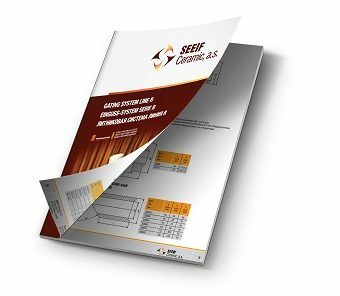 SEEIF Ceramic, a.s. develope and produce ceramic gating systems (ceramic holloware), which is formed by refractory shapes with high resistance to penetration by molten metal and is intended for single use in casting systems assemblies during the metal casting. 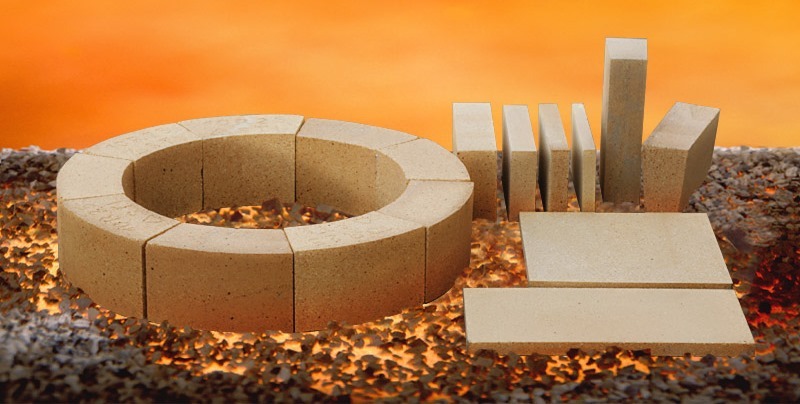 As well produce ceramic closing systems for foundry and steel ladles, standard refractory shapes, insulating materials and many other refractory products for use in steel and iron foundries. 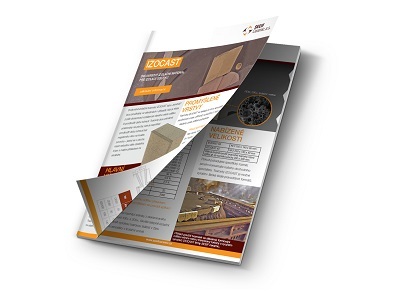 Upgraded refractory casting bricks with high resistance to the penetration by molten metal. Refractory fittings which form a part of the closing system of casting ladles. The ceramic whirl gates, so called slag traps, are widely used mainly in steel and ductile cast iron foundries. Two-layered insulating material for the casting insulations. Insulation of risers in foundries. The ceramic whirl gates, so called slag traps, are widely used mainly in steel and ductile cast iron foundries. These parts of gating systems are operated on the principle of different volume density of melt, slag and others impurities. The whirl gates are installed in the casting routes. The molten metal from the casting route is thrown inside the vessel. During this rotational motion particles float towards the melt surface on the principle of different densities. Calm and cleaned metal is led through the distribution channels into the mould. Available in several sizes depending on the diameter of the ceramic casting system. 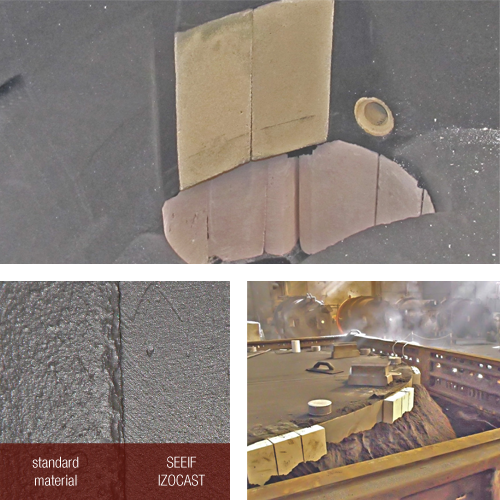 Two-layer insulating shapes of the “sandwich” design are used in foundries, where it is necessary to increase the metal feeding distance of certain casting places or to extend the solidification time. 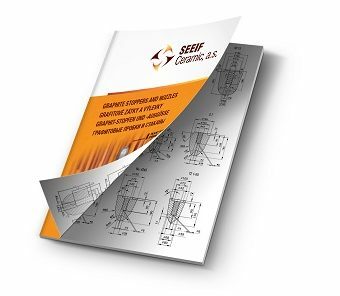 The blocks are primarily placed on areas where is necessary to extend solidification time without compromising quality of the surface – we are speaking about the areas that will not be machined any more or that require only a small allowance for machining. 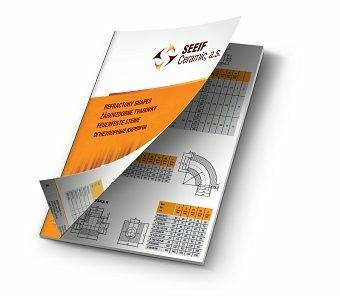 EXTENSION OF SOLIDIFICATION TIME – increase of the metal feeding distance in the necessary points of the casting. WITHOUT ADDITIONAL MACHINING – thanks to a special working layer the places, where the IZOCAST products are applied, do not need to be machined any more and cleaned after removal. EASY WORKABILITY – the blocks can be cut easily and shaped directly on the spot to particular requested dimensions. and shapes with low bulk density. reduce cost of risers (sufficient is production of necks for cases). 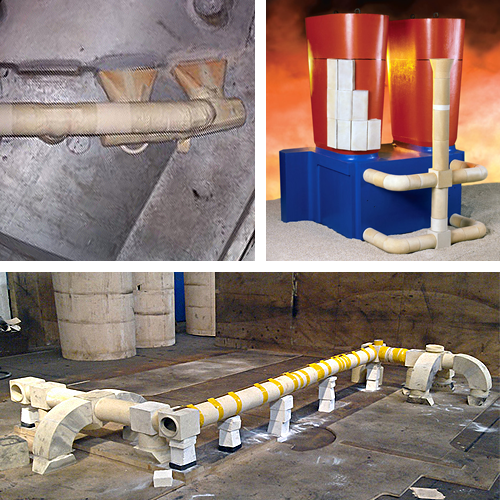 Single use fireclay products for foundries and steelworks fits as the assembly of ceramic gating system during the iron casting. They are suitable for castings from 5 kg up to hundreds tons and are characterised by increased resistance against a penetration by molten metal. 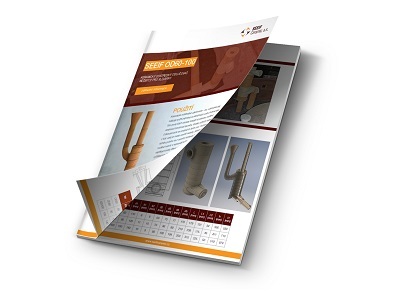 Foundry holloware production range consists of funnels, tubes, adapters (reductions), elbows, T & L pieces, crevices, splash cores and other specialty shapes with inner diametres from 30 mm up to 150 mm. 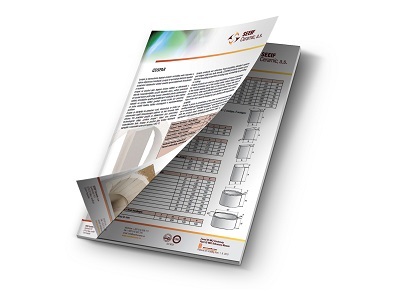 Shapes are available in several grades according to the Al2O3 content. 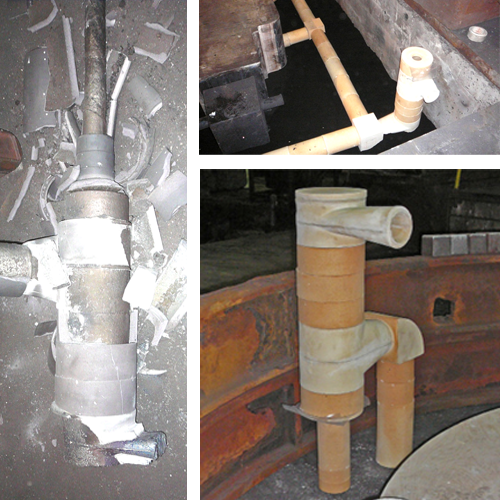 Refractory products forming a part of the closing mechanism of casting ladles in a metal casting in foundries and smelting plants. Alumina nozzles in grade F40, high alumina nozzle in grades AN61C, B80, MK85CT and graphite-alumina nozzles in grades GS and GK. The products are manufactured in different grades, depending on amount of C a Al2O3. 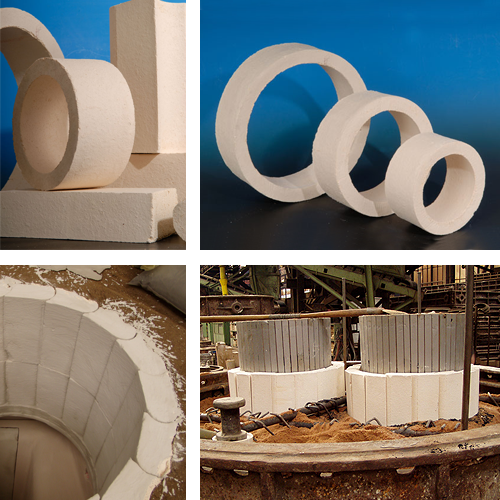 Refractory shaped products made from a fireclay or high alumina clay designed for use in the metal casting and as construction and lining material. Shape assortment consists of nozzles, bricks, plates, blocks and varied shapes for industrial use. They can be produced by the individual customer requirements in a number of qualities from dry, semi dry and plastic matter.